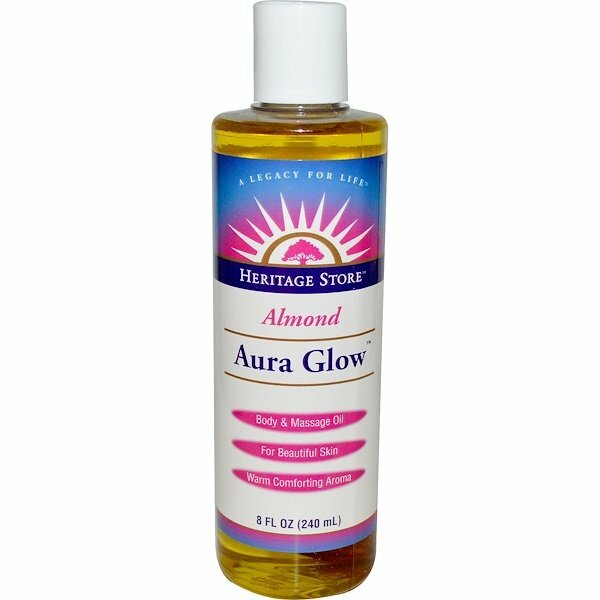 No Body Should Be Without Aura Glow! 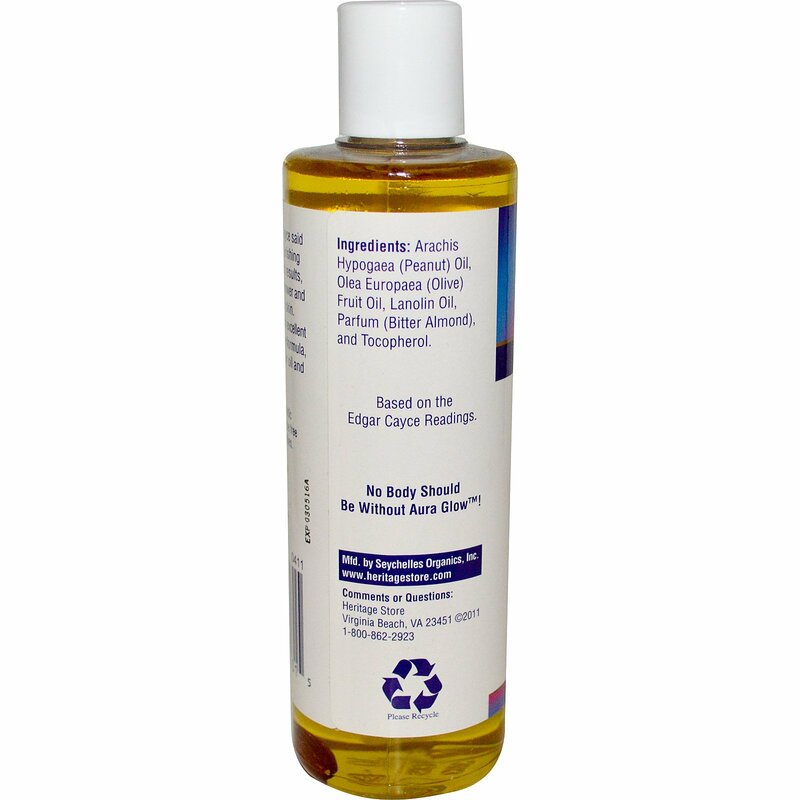 Edgar Cayce said this formula was nourishing for the skin. For best results, apply after bath or shower and feel it soak into your skin. 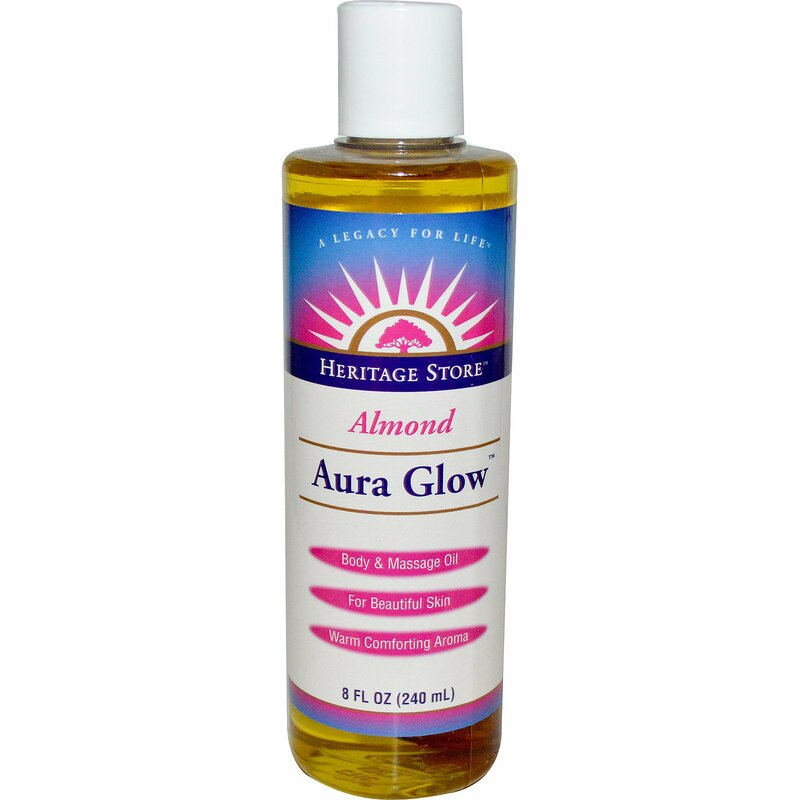 Aura Glow makes an excellent moisturizer, massage formula, aftershave lotion, hair oil and bath oil. Arachis hypogaea (peanut) oil, olea europaea (olive) fruit oil, lanolin oil, parfum (bitter almond), and tocopherol.